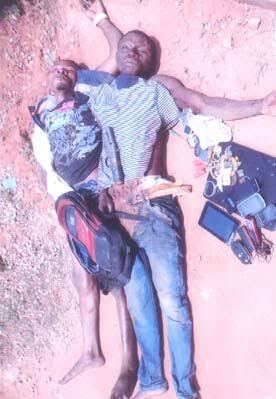 Two members of a 5-man robbery gang were killed by men of the Ogun state police command after they raided the Dalemo community in Ogun state on July 26th. Residents in the community put a distress call across to the police and after the police arrived the scene, a gun battle ensued leading to the death of two of the robbers while the remaining three escaped with gunshot wounds. 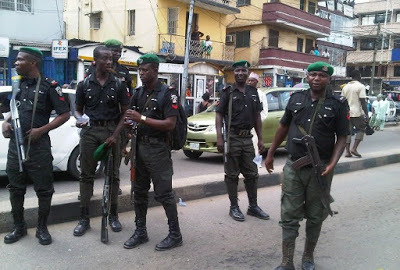 Items recovered from the robbers included 15 cellphones, jewellery, N3,000, 1 Dell Laptop and other items. Photo from the scene after the cut..